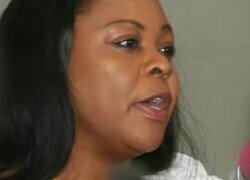 FORMER first lady Maureen Mwanawasa has survived disqualification from contesting the position of executive mayor for the City of Lusaka after the High Court dismissed an application for her removal from the contest, alleging corruption during the adoption process at party level failed. This is in a matter in which Aaron Mulope, a member of the opposition UPND, sued the party secretary general Stephen Katuka, Ms Mwanawasa and the UPND elections chairperson Sylvia Masebo for allegedly blocking him from filing in his nomination when he was the outright winner at the party primaries. Mr Mulope accused Ms Mwanawasa of not having followed the prescribed procedure for nominations as she did not apply for the position and did not attend interviews as part of the preliminary process. But Lusaka High Court Justice Mwila Chitabo said the matter had been filed into court out of time, which was after the stipulated seven days prescribed by law. He said however that even if it had been filed within time, the matter was wrongly before court as all election petitions ought to be filed after such an election had taken place. “Having established that the matter before this court is intended to challenge the nominations of a candidate, the matter if properly before this court should have been brought within seven days from the date of the close of nominations. “Therefore, having taken this position, I take the view that this matter should have been brought before this court by way of petition and as such this matter is improperly before this court,” Mr Justice Chitabo said. The judge said it was important to note that while it was clear from the Electoral Process Act on challenging of nominations of a Member of Parliament, it was not clearly prescribed on the mode of commencement of such action on mayoral candidates. He said it could be argued that the procedure in challenging the nomination of MPs could also be used in mayoral candidature, but that there was no clear guidance for that.